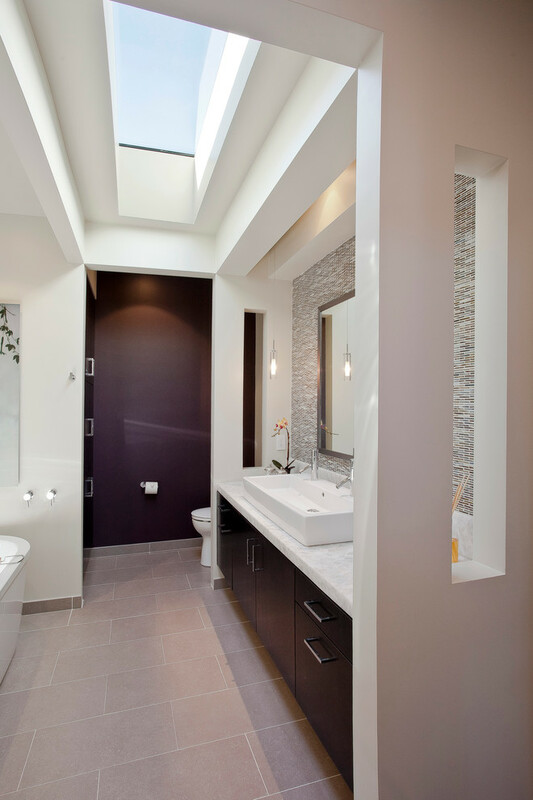 Tiles are the most used materials for bathroom. 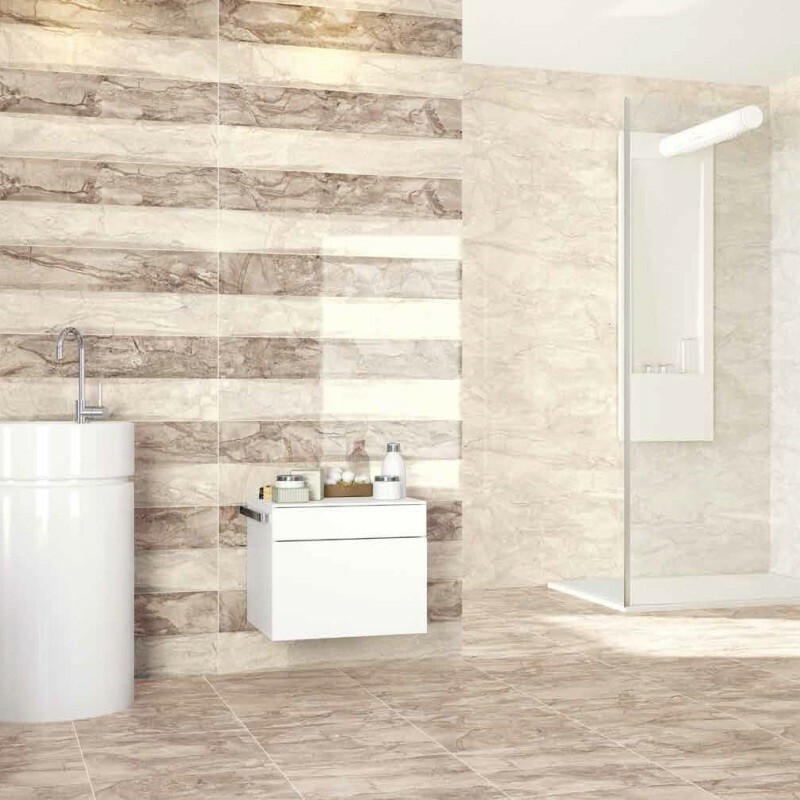 There are so many choices of tiles you can choose to make your bathroom more stylish. You’ll find porcelain, ceramic, glass, marble, and granite as your best choice when you have a plan of remodeling your old bathroom. To help you find the best, here we are going to share and to describe each tile choice with various installations. Please, check it up. White tiles installation is one of best choices for you guys who want to create gentle shading and soft palette in your bathroom. You’re free to combine it with others that have similar tone for empowering a new look that dramatically attract everyone glancing it at. 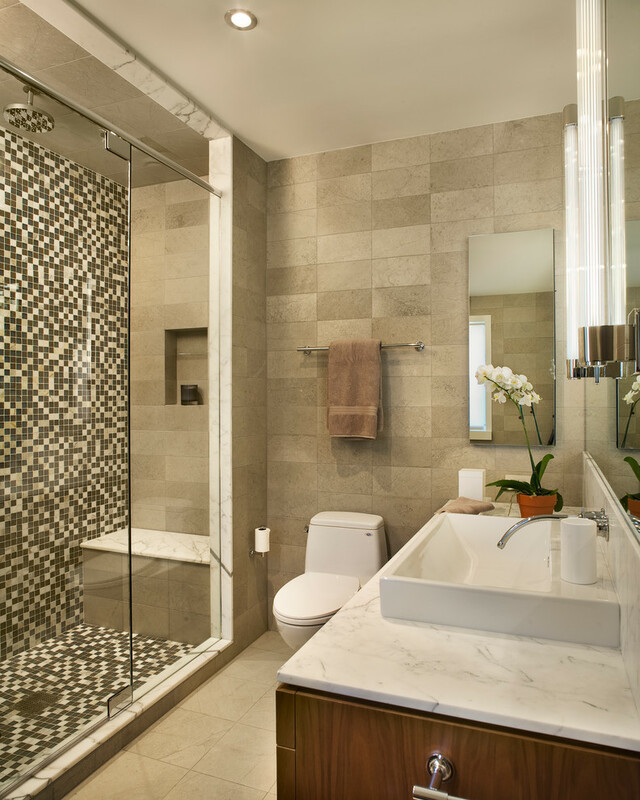 Mosaic tiles are always chic to apply for any styles of bathroom. 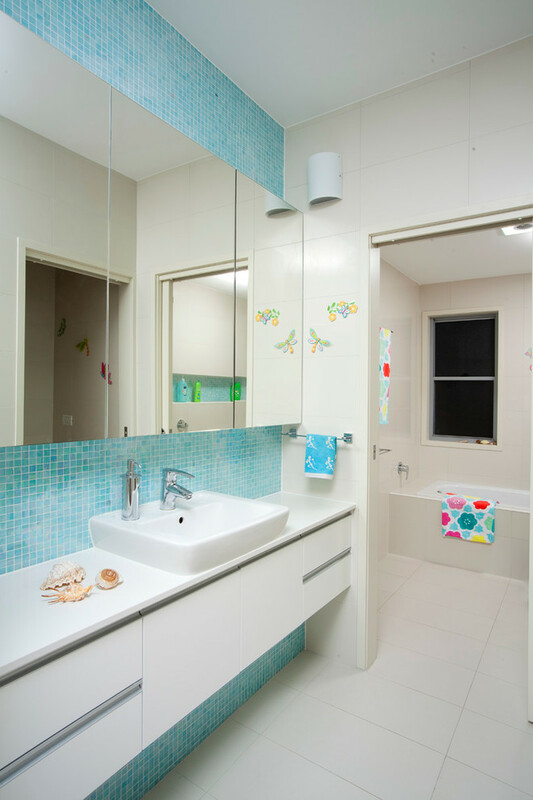 They bring newly fresh look, so it’s so recommended for you guys who love stylish and multicolored bathroom. 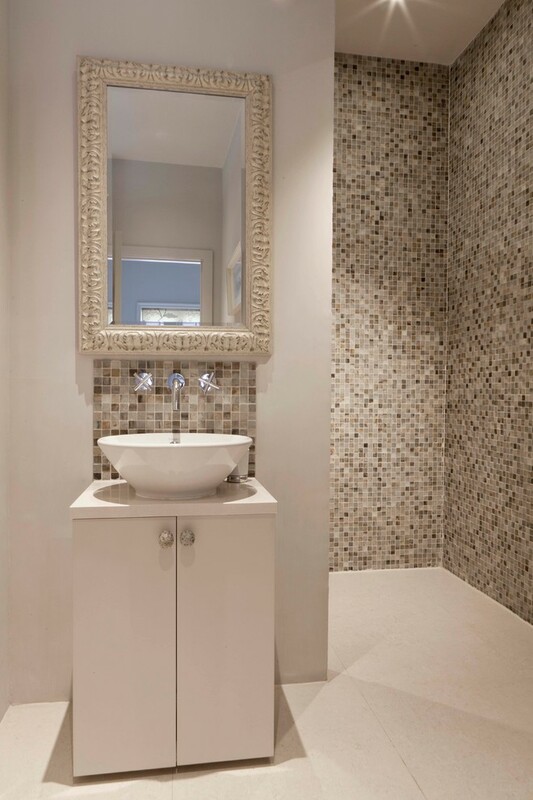 Dominant white bathroom, for example, looks so great if it is collaborated with mosaic walls and backsplash. They balance each other, right? 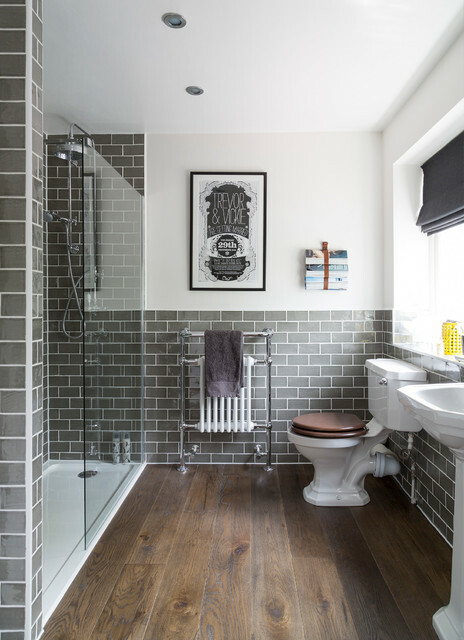 Black tiles used for floors give a striking accent for the bathroom. They look so striking when they have been combined with other lighter-toned colors like white (white-textured tiles for backsplash, for instance). In addition, black tiles are also matched if they are paired off with another deep-toned color like dark wood-color applied on vanity’s top. White ceramic tiles for floors look so gorgeous and compatible with the couples of other tone colors. Here, we’ll find several spots attached with so striking tones like bright blue walls for vanity and cheering bathroom accessories. We love tiles around the vanity. They provide a trendy and chic look, especially for the vanity. 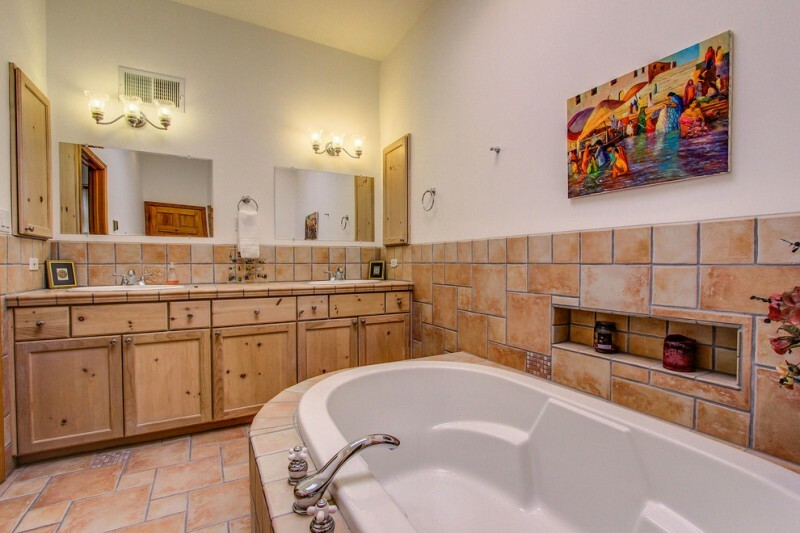 They also display opposed appearance toward other bathroom properties. Light beige tiles floors and bathroom walls, as if, have smoothly reduced dark wood color applied on flat-panel vanity cabinets. All combinations are so balanced and harmonious, right? Simple but so inviting; this idea shows how the natural material can be customized into a modern and industrial bathroom properties. 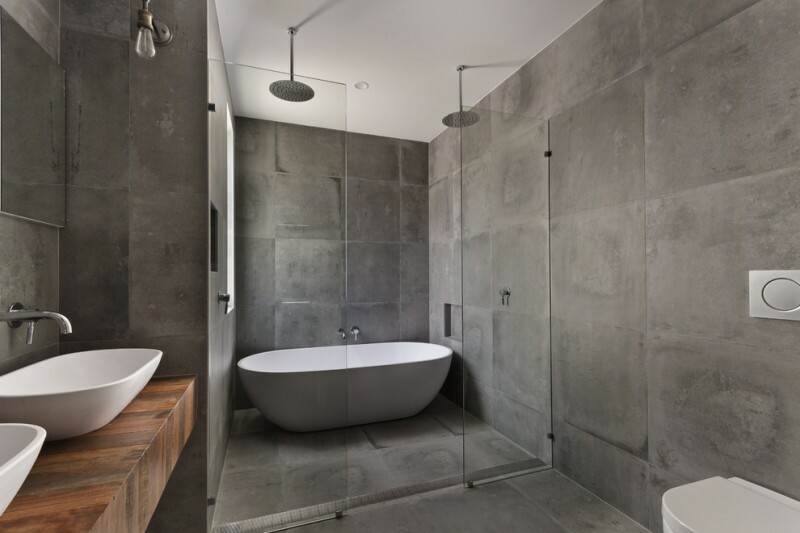 Here, we clearly see that the natural stone-made tiles for floors give the special accent for this minimalist bathroom. Why? They’re significantly different among other properties which have already been designed and laid out as minimalist properties. It’s also similar if we talk about the tones of color. Light blue, skinny blue, white, wood-color finishing, and grey are now dominantly known as modern and minimalist color tones. If you like Country style and want to add something unique like swing in-out door model, you can adapt this idea as your inspiration. 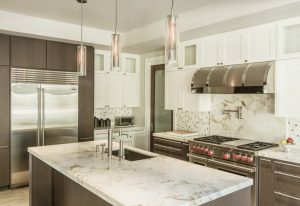 The owner has chosen natural stones for floors and backsplash. 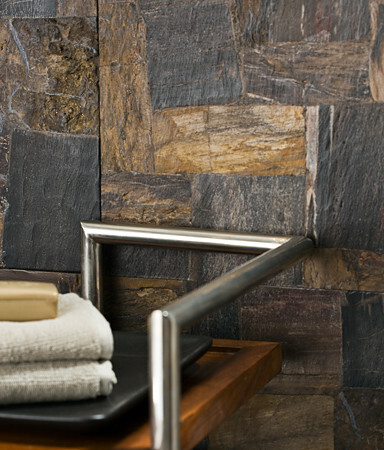 These natural stones are installed as the textured mosaic, so they’re anti-slip and artistic. Porcelain tiles; they’re durable and high value, so they are beneficial for both commercial and residential spaces. Most of porcelain tiles are produced in neutral color tones, so they are able to provide warm feel. Not only that, porcelain tiles offer traditional and simple look. Marble is really identical with luxurious, classy, and expensive product. This guest bathroom is covered with white marble tiles for floors and white-finished natural stone tiles for shower’s walls. Both are white to help in creating the illusion of larger volume in a space that’s truly small. Engineered wood floors here have broken up grey ceramic tiles surface on walls. Both have strong influence for the bathroom. 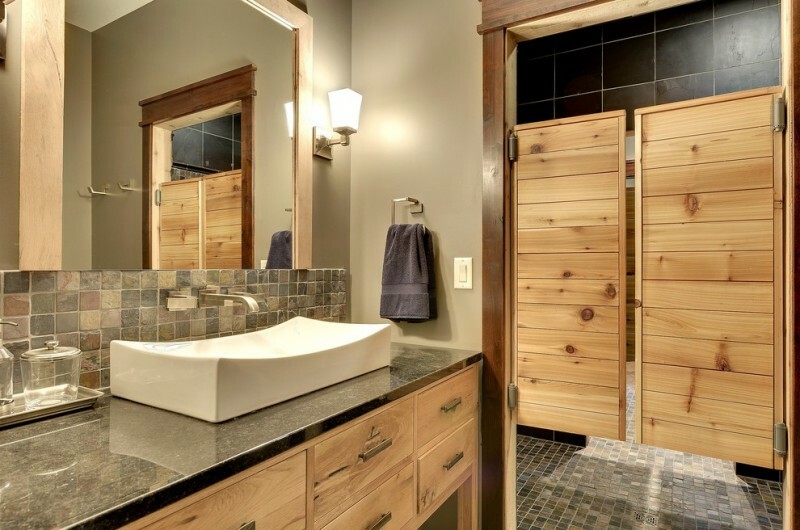 Feel the warmth of natural woods when your feet step in and touch the floors, but when your eyes stare at the bathroom’s walls, you’ll feel metro nuance, presenting a classic look collaborated with little bit modern touch. If you love having a lot of tile variants to your bathroom, try this idea. Two areas of bathroom use different tiling style. Shower area, for instance, has been supported by white ceramic tiles for both floors and walls (even though they have different shape). In another area, white marbles are used to finish vanity’s floors and half-walls.These two styles are similarly attractive. 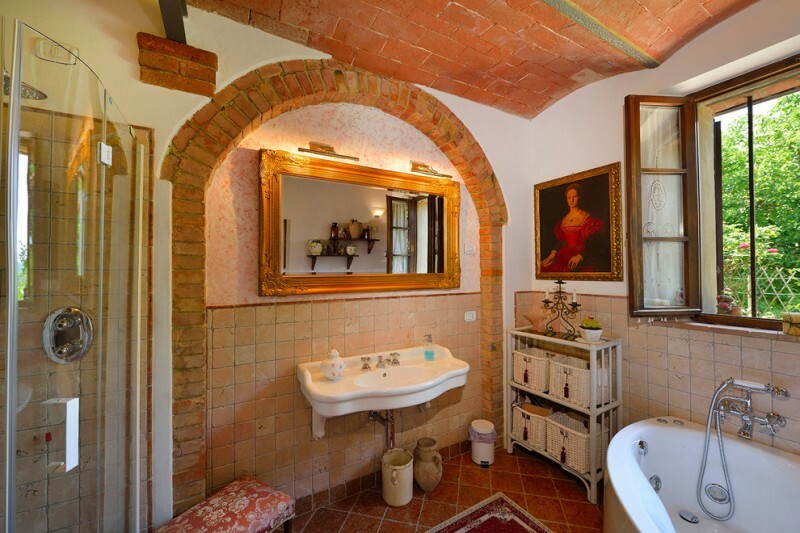 This mid-size Mediterranean bathroom is supported with terracotta floors, beige walls, dark-toned wooden cabinets, white ceramic tiles walls for bathtub, and other bathroom accessories. The owner also installs a medium-size skylight to provide sufficient natural lights from outside. This is not stone, but petrified wooden. 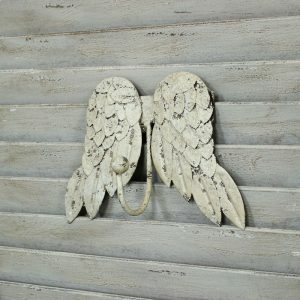 This kind of tile is so durable and warm, offering luxurious and rustic look. 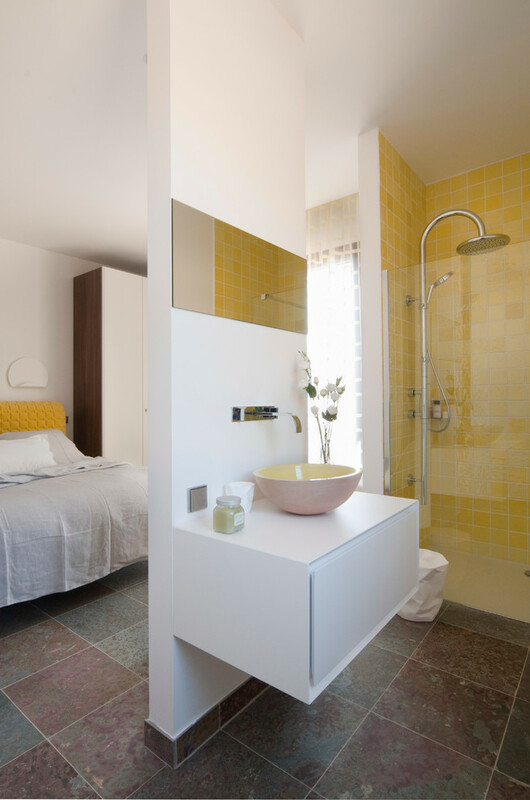 Yellow and white tiles installations on walls are the alternative way to create modern look in the bathroom. Moreover, they have been combined with other modern bathroom properties like bathroom vanity, shower appliances, and even interior facades themselves. This kind of tile is originally from America. Americans call it American Encaustic and they commonly use it for interior and exterior floors & walls. 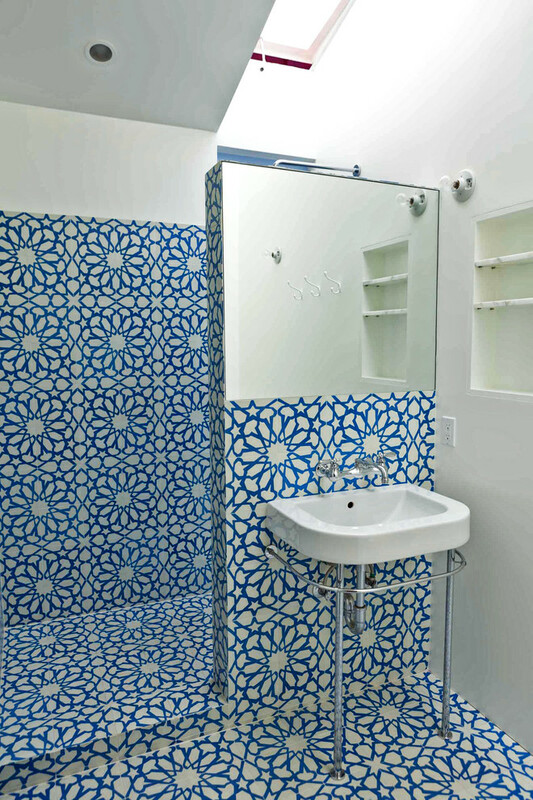 Here, American Encaustic tiling installations are used for both bathroom’s walls and floors. Just a few black tiles installations are put between the wall’s and floor’s meeting point as the color accents. 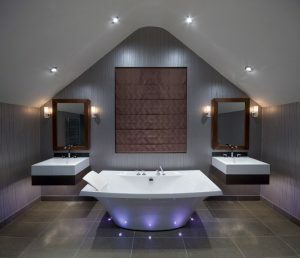 A dramatic and elegant look appears when the homeowner chooses all bathroom appliances in white. 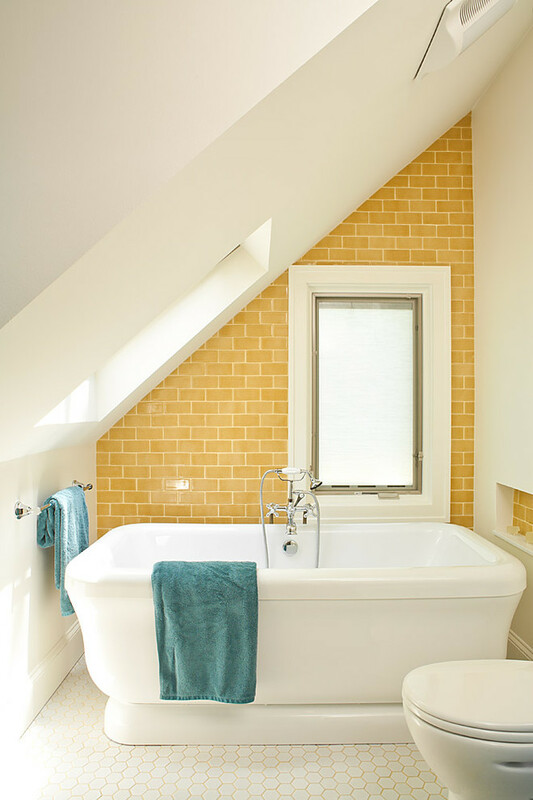 Have an idea to build a small bathroom in your home’s attic? This one can be selected as the most inspiring one. Both walls and floors use different shape, size, and color of tiles. Floors are covered with white hexagon-shape tiles and walls use bright yellow subway tiles. A medium-size glass window with white frames gives attractiveness, especially in wall area. 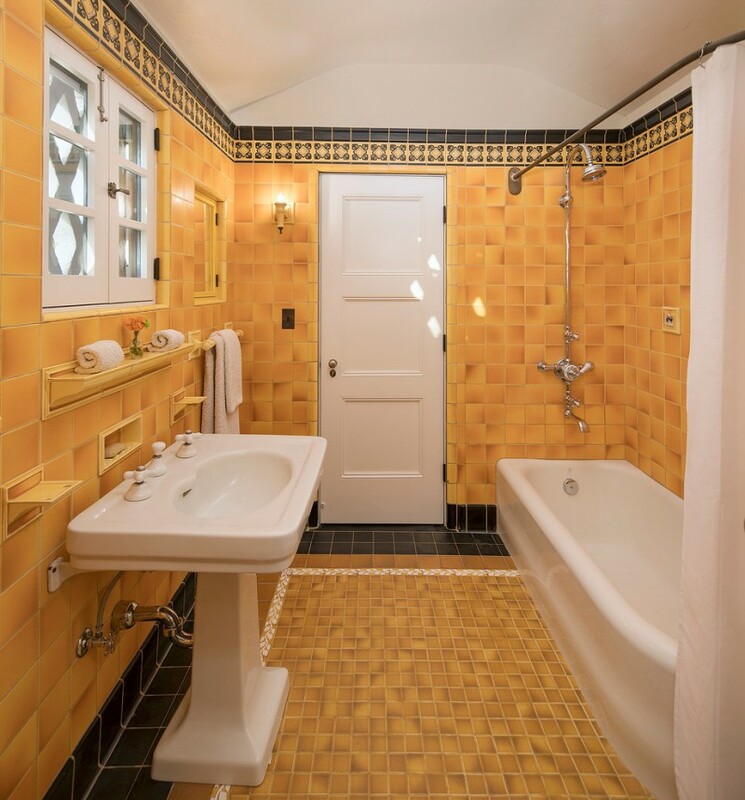 As you see, the shower area is fully finished with bright yellow subway tiles (except the glass panel partition and door). 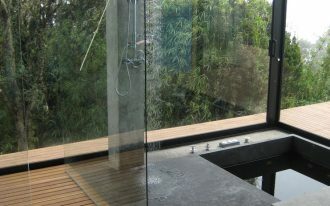 Outside of shower is supported with dark ceramic floors and white floating vanity. These two items show a significant look between inside and outside of shower space. 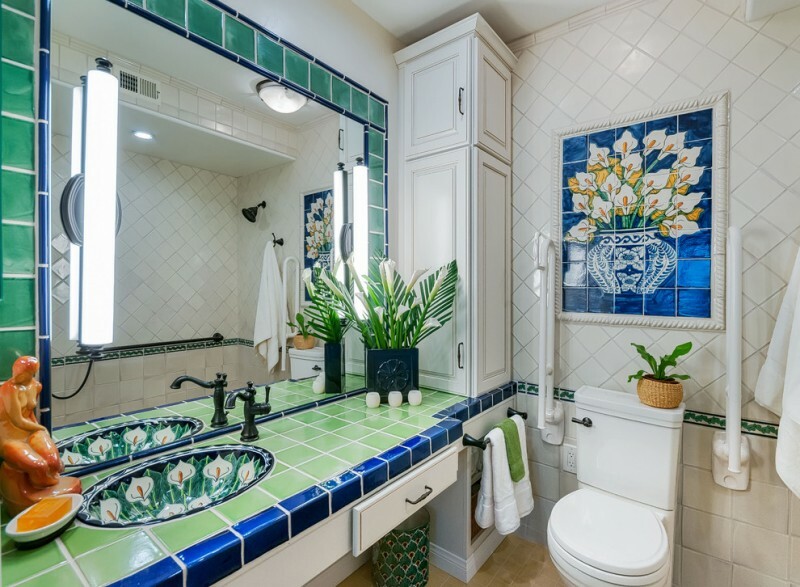 If you like to install tiles with flower motifs, this one may be your best inspiration. The designer selects blue and white colors as the main colors of motifs that then they apply for walls and floors of bathroom. These tiles are so striking and they’re much more attractive if they are collaborated with pure white bathroom appliances. This idea is called Spanish Tiles for a bathroom. Spanish influence is so dominant in this space. Just take a look at the interior facades in which they expose terracotta floors, large and curved-top windows, multicolored & artful glass panel for window, and so on. Then, for shower space, the designer only uses common white ceramic tiles for walls and floors and he adds artistic and beautiful motif on them. 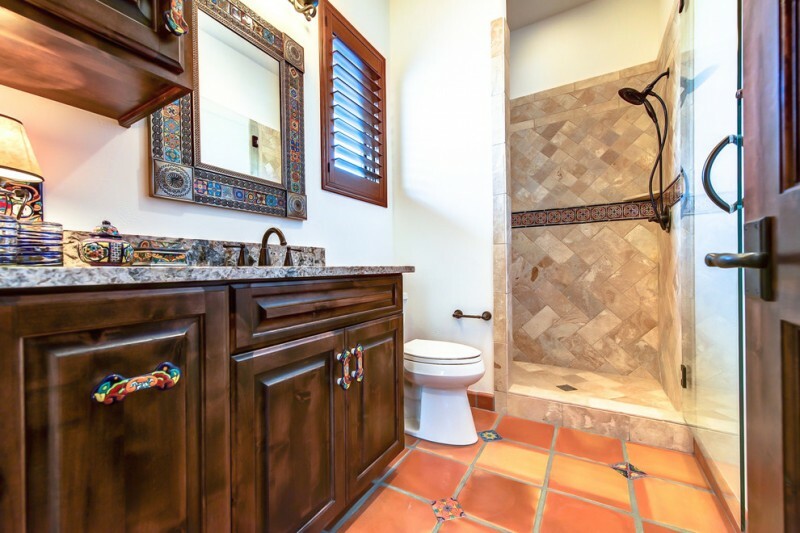 This Mexican-style bathroom inserts several colors of tiles for beautifying the space. As you’ve seen, the designer has installed green tiles for vanity’s top & walls, and a little accent of blue tiles. Beige ceramic tiles are used for floors and shabby white ceramic tiles are instantly found at the bathroom walls. This idea of tiles gives us an instant way of how to create the common tiles into terracotta tiles look. Dark grouts that left behind in the tiles’ texture have created a new variant of tile that’s similar to a reclaimed terracotta tile. 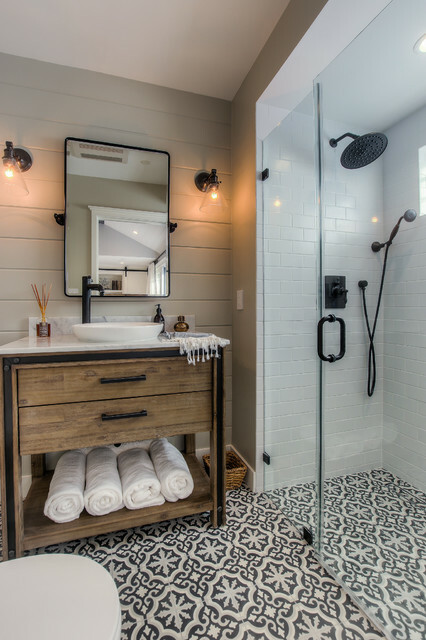 So, this kind of tile is so matched with rustic-style or Mediterranean-style bathroom. 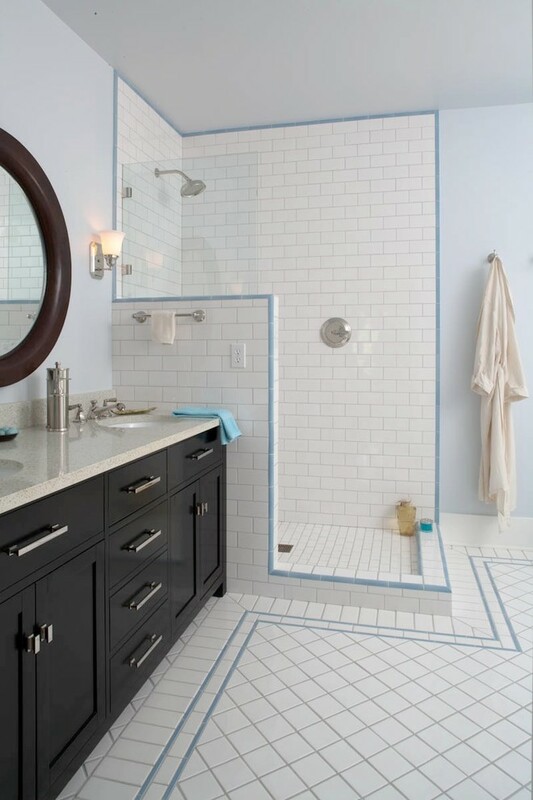 Navy blue tiles on walls have bold white lines to expose more the elegance of blue color tone. 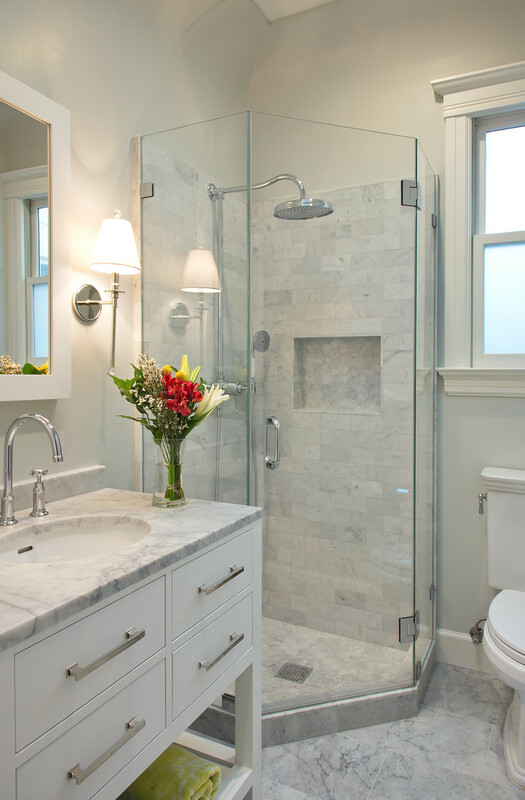 Then, light-colored stone floors here add smooth and soft look in the bathroom. 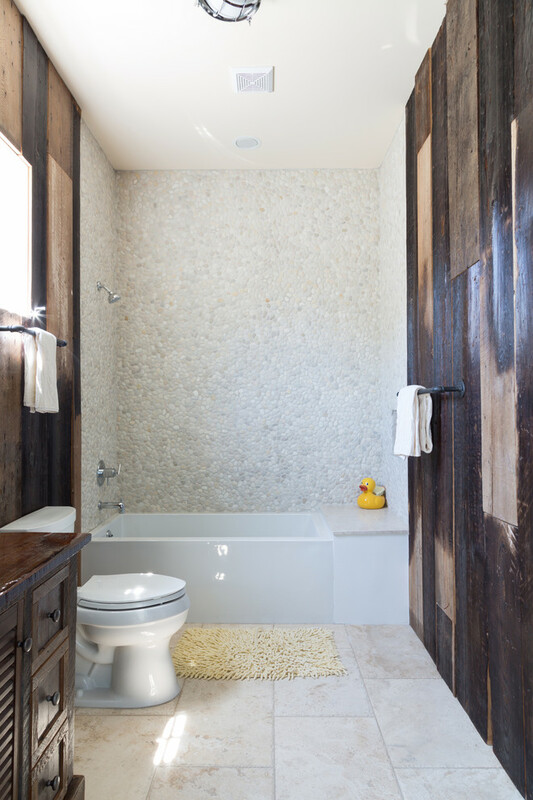 Natural and industrial product combination result a smart tiling idea for such modern rustic bathroom. 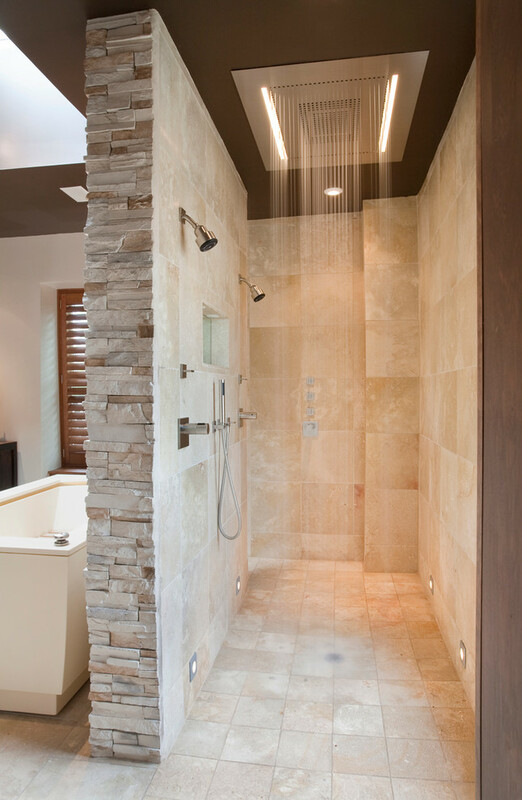 In the shower space, it’s clear to observe that light-beige ceramic tiles are fully sheltering the walls and floors. The outside, otherwise, the designer prefers darker beige ceramic tiles for floors and half-walls, keeping the other half-walls are finished by woods. 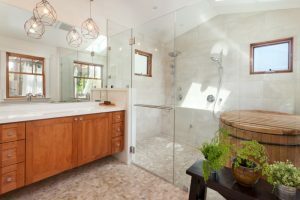 This idea is quite unique because the homeowner uses terracotta for finishing the bathroom walls and floors. Light and dark terracotta tiles have been chosen as both offer significant difference in tone. Lighter one is used for walls, while darker one is used for floors. If you observe the motifs of ceramic floors, you’ll find that they expose the feminine side in which it can be seen from the pattern, shape, and color choice. And amazingly, these motifs are made manually by hands. That’s why these ceramic tiles give highest value for this space. 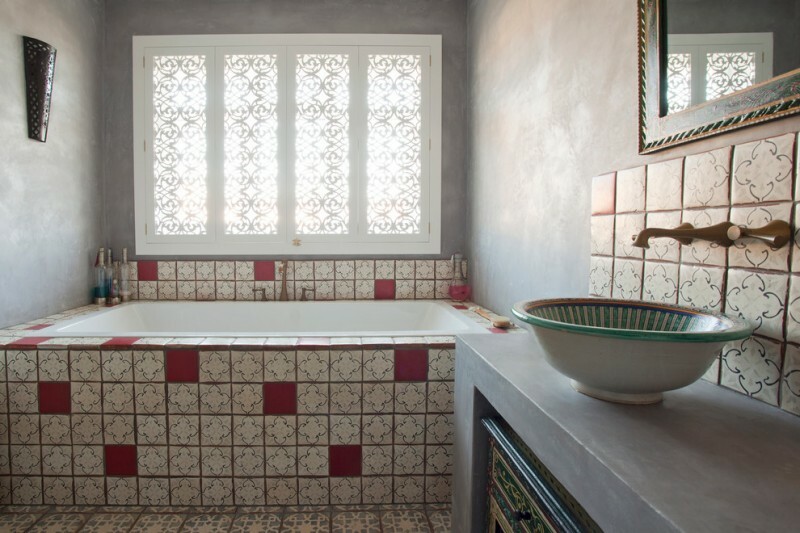 Such idea is really matched for a Moroccan bathroom design. 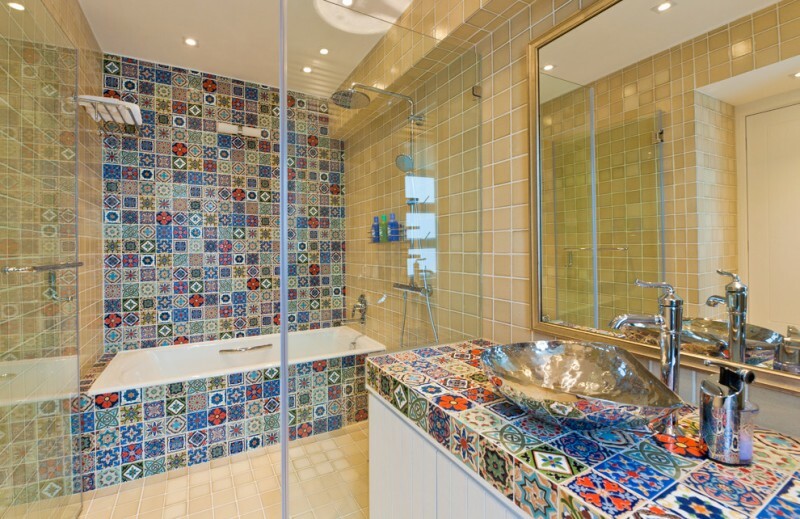 Glass mosaic tiles on walls add warmth and contrast. 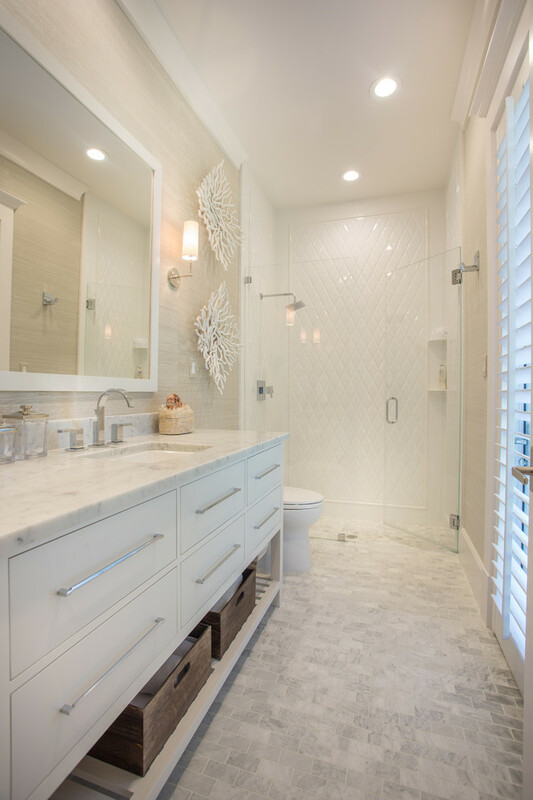 In the other hands, white diamond-shape tiles on floors offer cool and soft look in the shower space. How do you think about the tiling idea above? It looks so cheerful and colorful, right? 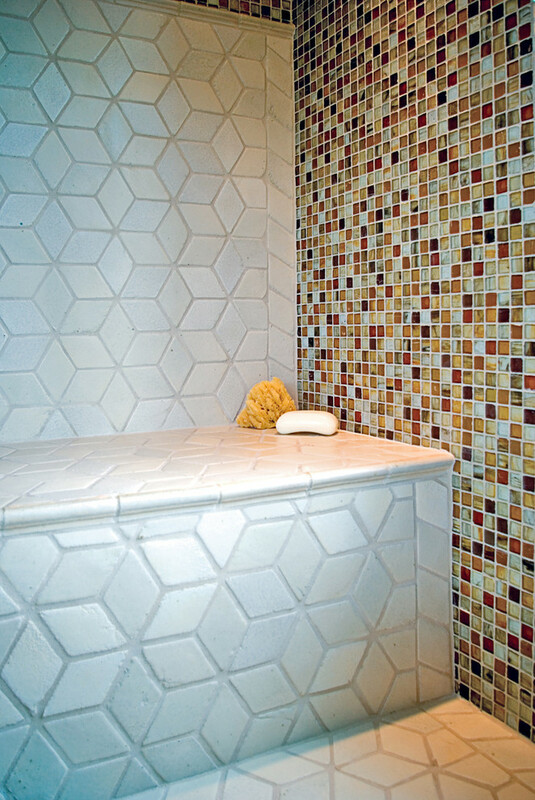 The homeowner prefers multicolor tiles for vanity’s top, shower walls, and bathtub’s walls to other tiles. 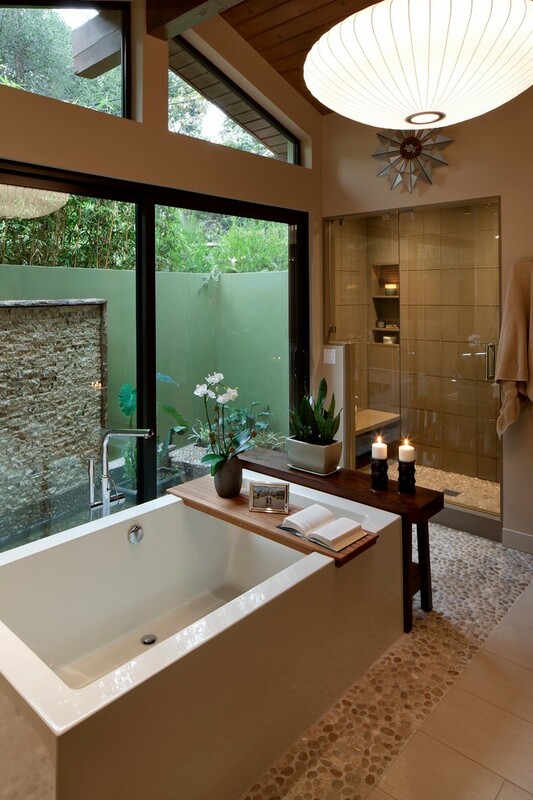 It’s aimed at creating an interesting and inviting bathroom. 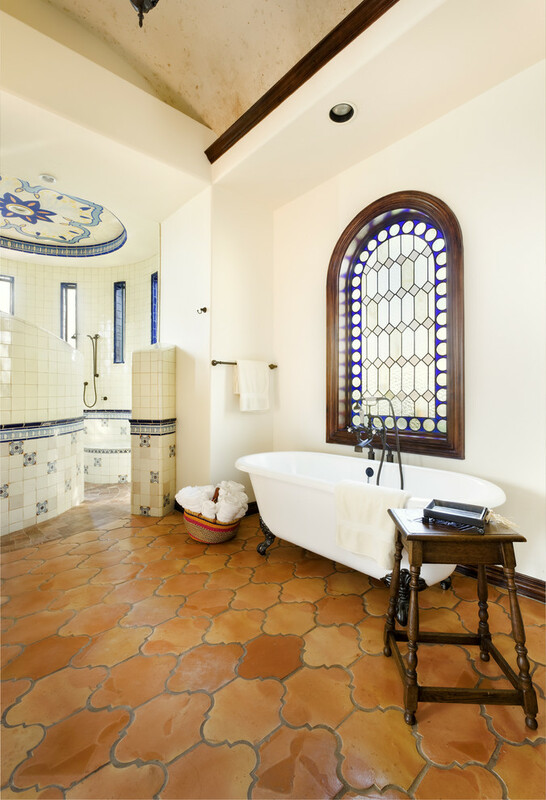 This is another Moroccan-style bathroom. 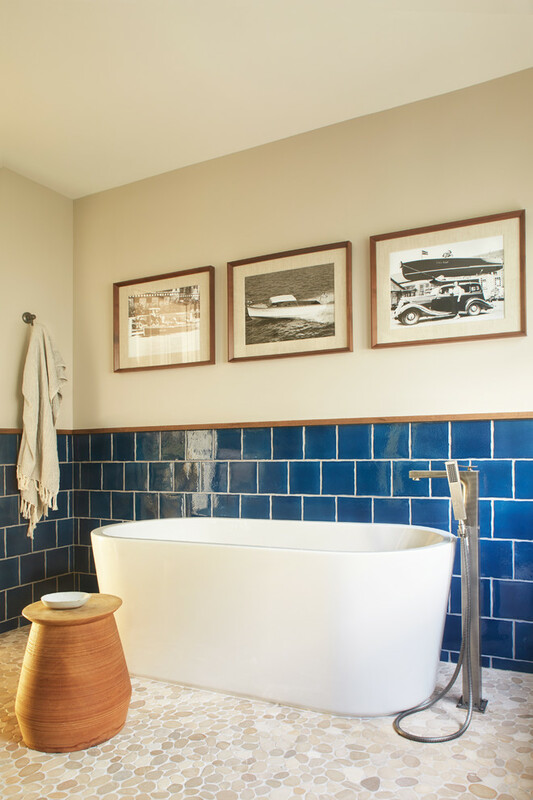 This one exposes the uniqueness of traditional tiles which are installed on some spots like bathtub’s walls, backsplash areas, and floors. 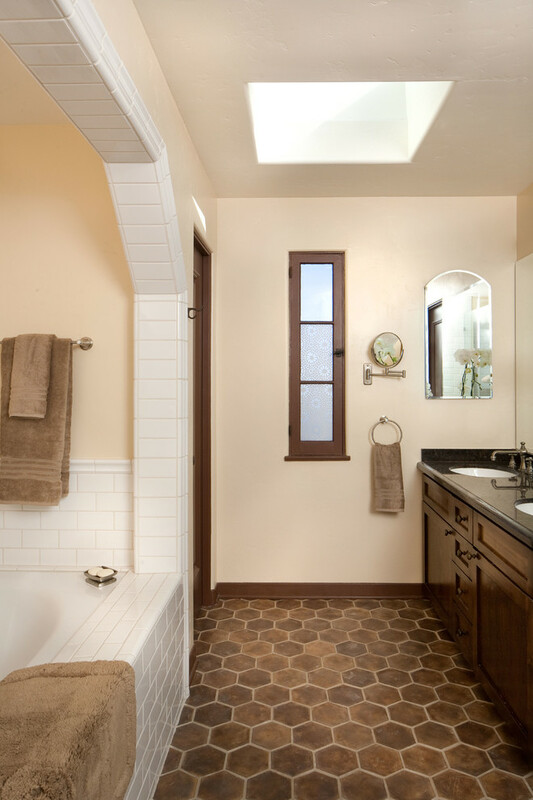 Beige-washed and terracotta combination, you can adapt this idea for your bathroom. Both provide huge warmth, even more if they are paired off with wooden-made furniture and rustic fixtures. Feel the warmth and luxury just by customizing your bathroom with fully beige color tones. 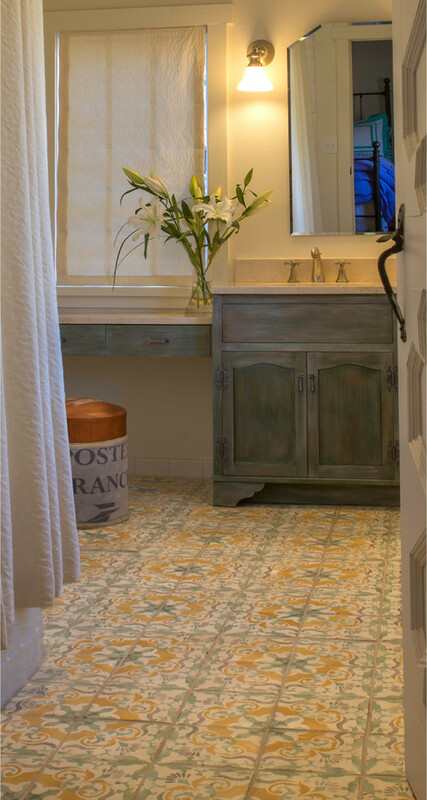 Terracotta tiles are the best alternative to achieve a warm and luxurious bathroom space. 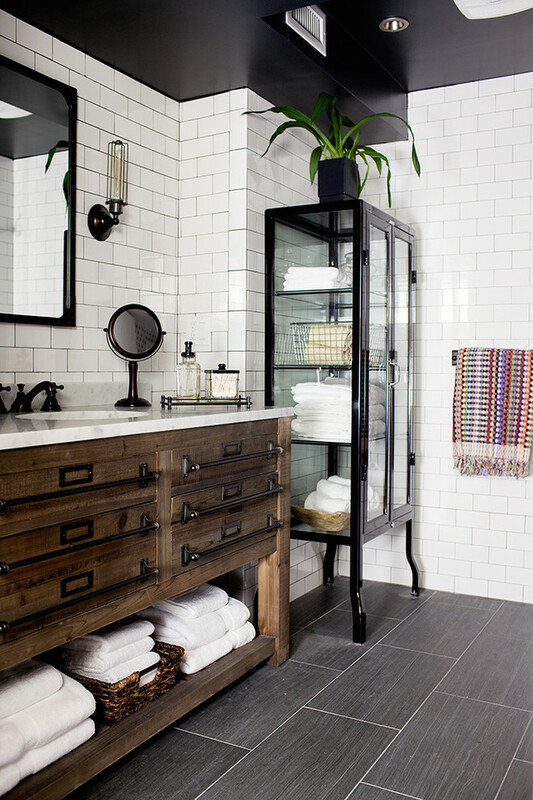 It’s always stunning to insert black-white tiles with traditional patterns like the picture above. Such tile option absolutely fits you who love artistic and patterned bathroom’s interior. 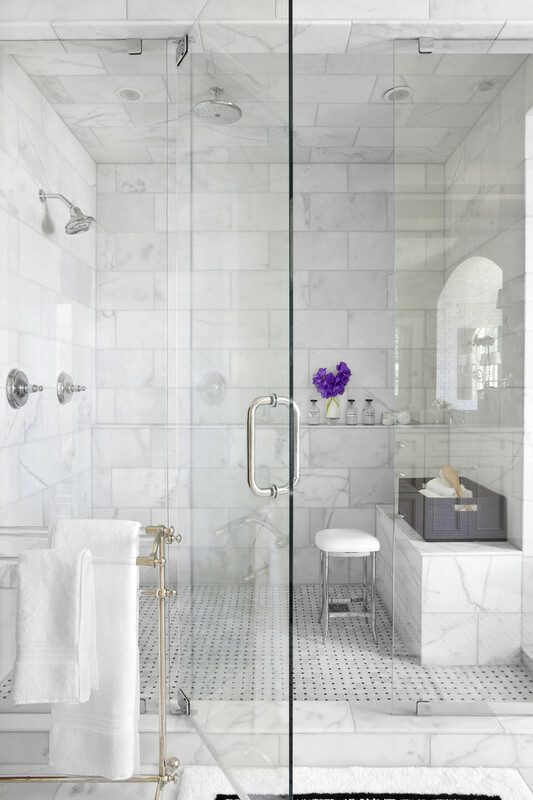 Just add marble to improve your bathroom’s comfort and luxury level. 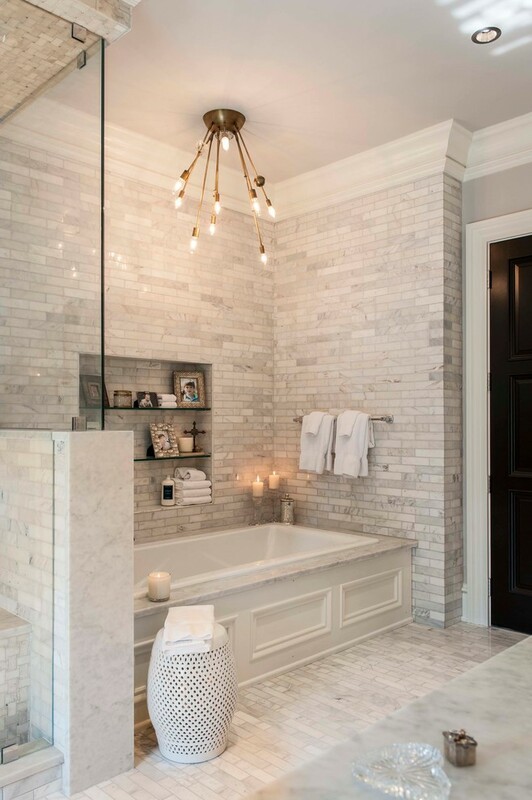 White marble tiles on bathroom’s walls and floors are the real evidence that we can be able to improve an ordinary bathroom into a luxurious and classy one just by replacing the old floors and walls with the marbles. Subway tiles always become the most favorite. They’re affordable, simple, yet stylish. 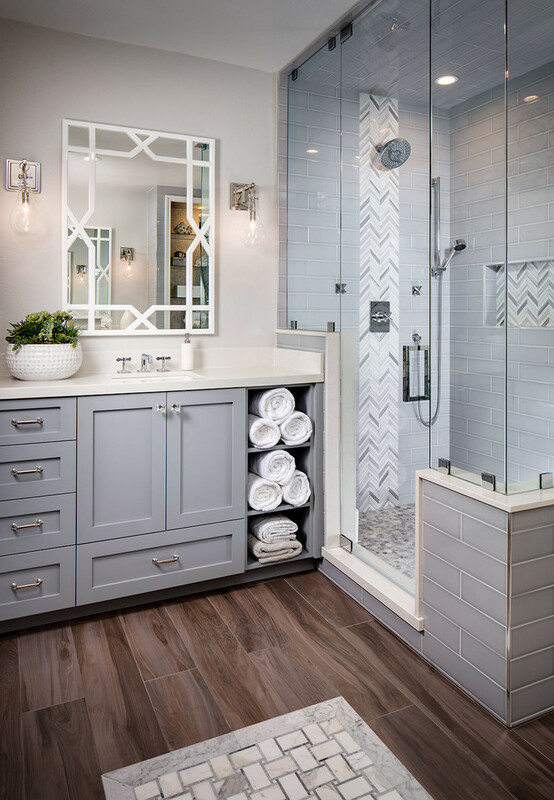 Grey subway tiles become the best choice if you want to install them into wet space like shower space. Why? They’re easy to clean and to maintain. They’re also matched with any other tiles. Some people love choosing tiles with many grouts. The grouts, they say, are natural accents that offer special and artistic look. White really dominates the space. The homeowner likes to mix whitewashed tiles for floors and glossy white diamond-shape tiles for walls. Both seem so similar but actually different in shape, texture, and material. This idea of tiles probably is too common to see, but this kind of tile offers much of benefits. One of the benefits is white subway tiles are always matched to collaborate to any other kinds of tiles like this dove black ceramic floors. White marble always gives ultimate luxury. 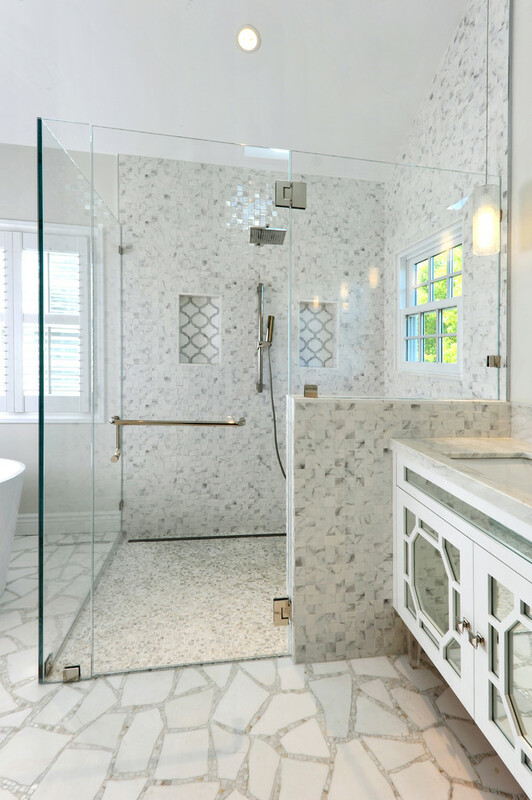 Like this one; white marble is selected to cover the shower’s walls and it still works with white small mosaic tiles floors. 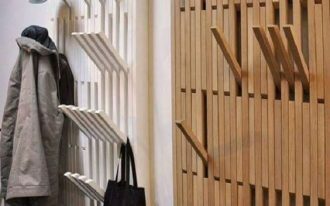 This is another collaboration of wooden tiles and white subway tiles. These two tiles have different tone and texture. Each tile also has different use. 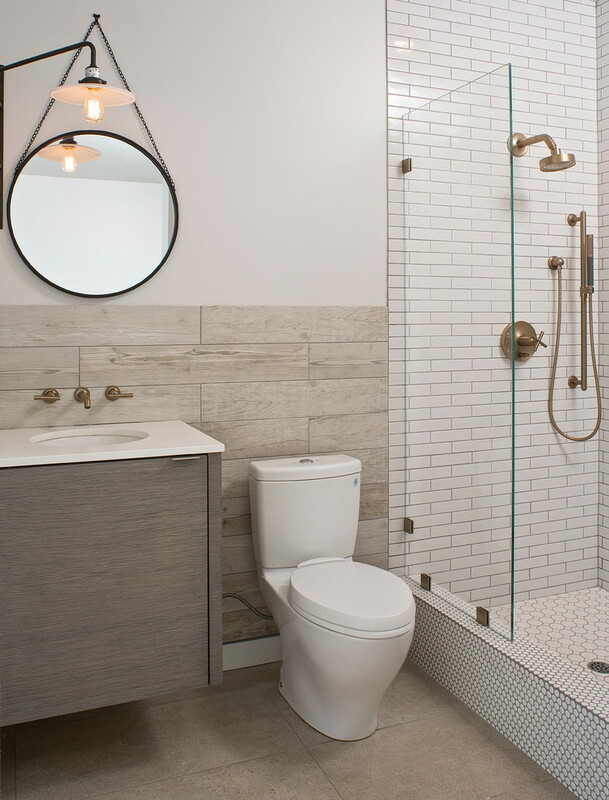 For example, white subway tiles are durable and friendlier for wet area. 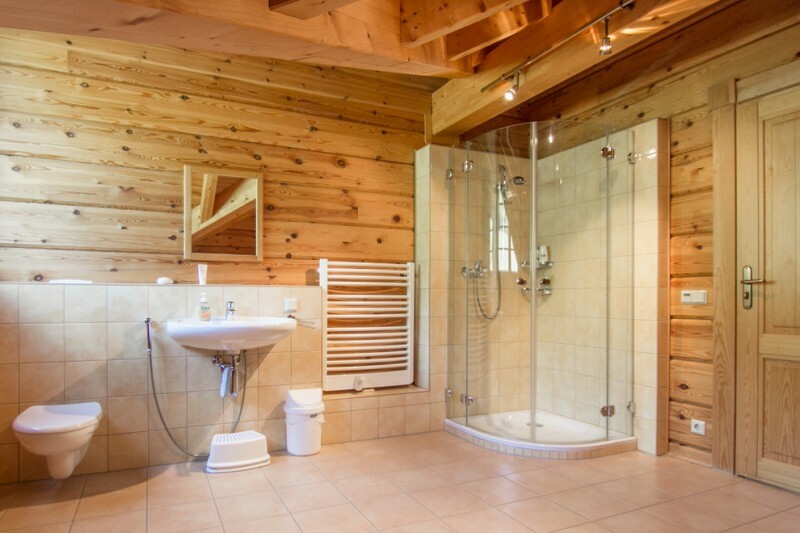 By contrast, wooden tiles is easier to be broken if they are installed in wet area. This bathroom exposes black and white combo which are represented in almost parts of bathroom. This idea is really simple but elegant and clean. 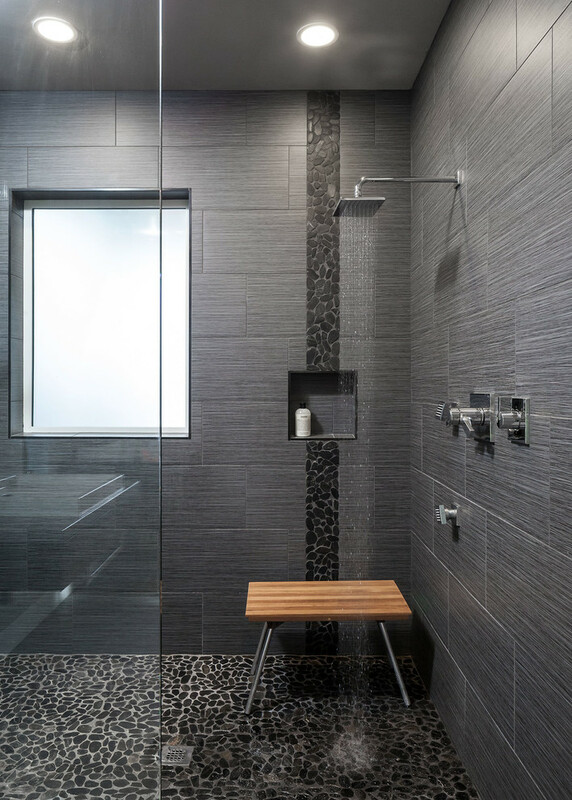 A rain shower is supported by black pebble tiles for walls and small rock tiles for floors. The walls are highlighted with a decorative line of rock tiles and mid-size glass window to provide the natural lights from outside. It’s true that beige ceramic tiles look like light terracotta tiles, but not the texture. 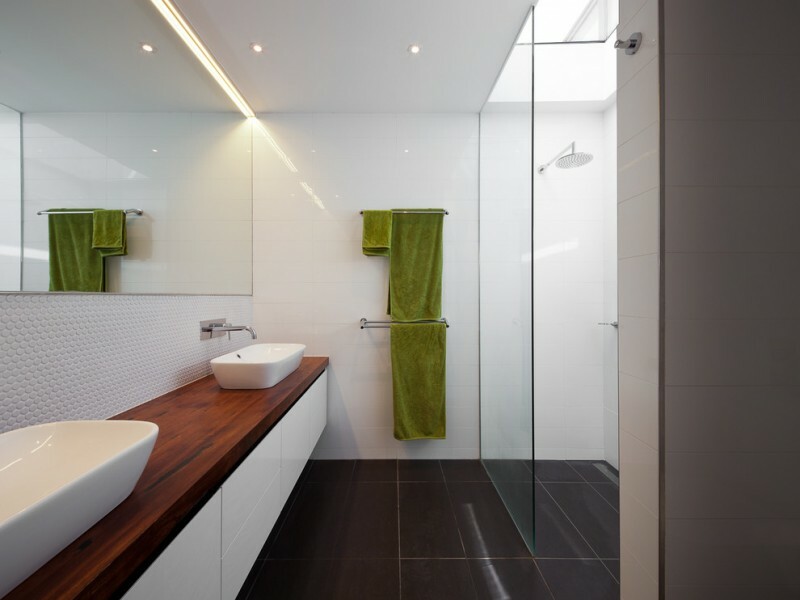 Both provide warm look, so they are recommended to apply for any warm-look bathrooms. Modern walk in bathroom with little bit traditional accent which is represented by white tiles floors with decorative dot motifs. White marble tiles on walls and ceiling, in addition, add luxury and value level in the bathroom. 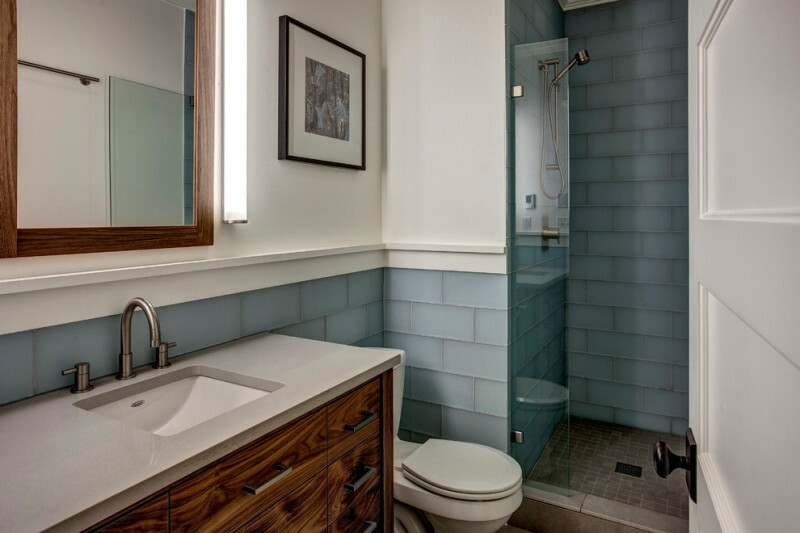 These blue subway tiles walls are actually glass tiles which are designed in traditional subway tiles. 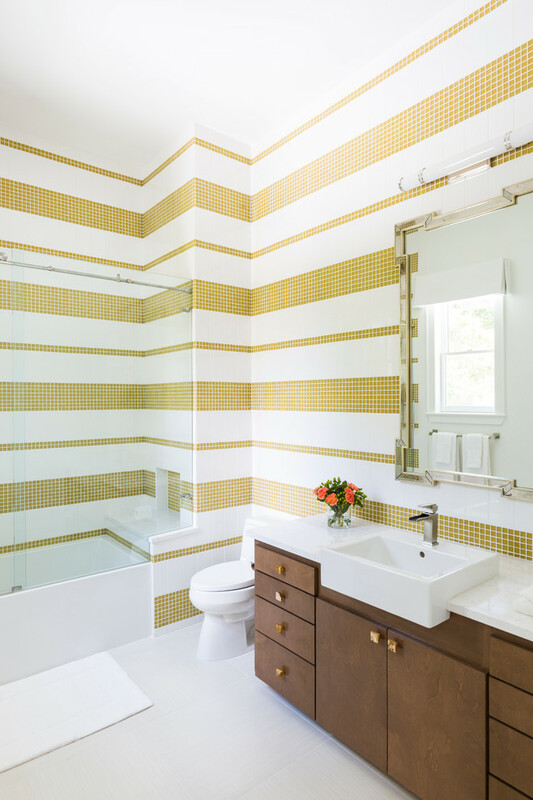 The homeowner puts huge scale of glass tiles for creating glossy surface on bathroom’s walls. 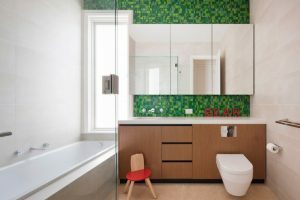 It’s possible to apply multi-variant of tiles in a large bathroom. The photo displays the use of tiles in different color, texture, and material. Mosaic tiles are selected to coat the whole shower spaces and beige ceramic tiles are used to cover dry area like bathroom vanity and toilet. Small rock tiles are also recommended not only for a walk in shower space, but they also fits for bathtub’s floors. They are floor accents for the bathtub itself. 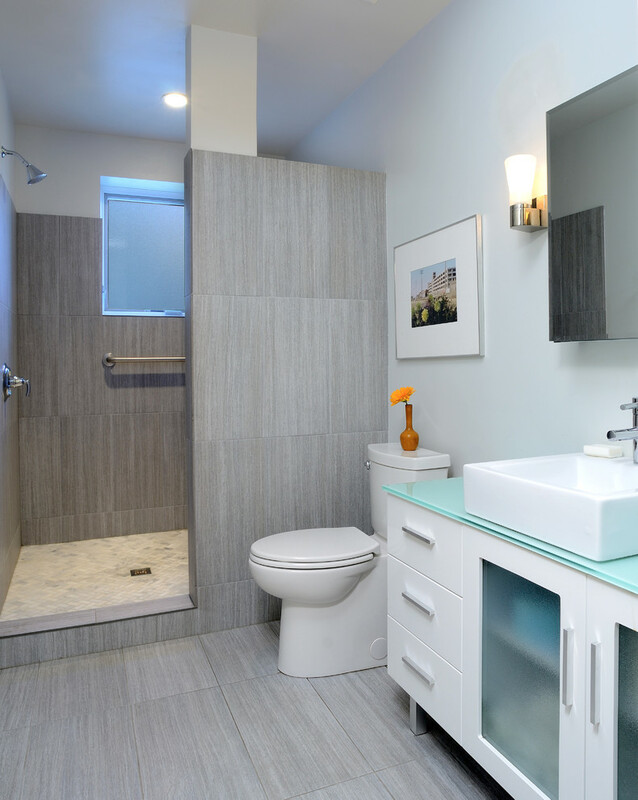 This modern bathroom has been designed in a trendy and chic appearance. Besides equipping a float bathroom vanity and toilet, the designer also chooses another trendy and high-end floor and wall systems. 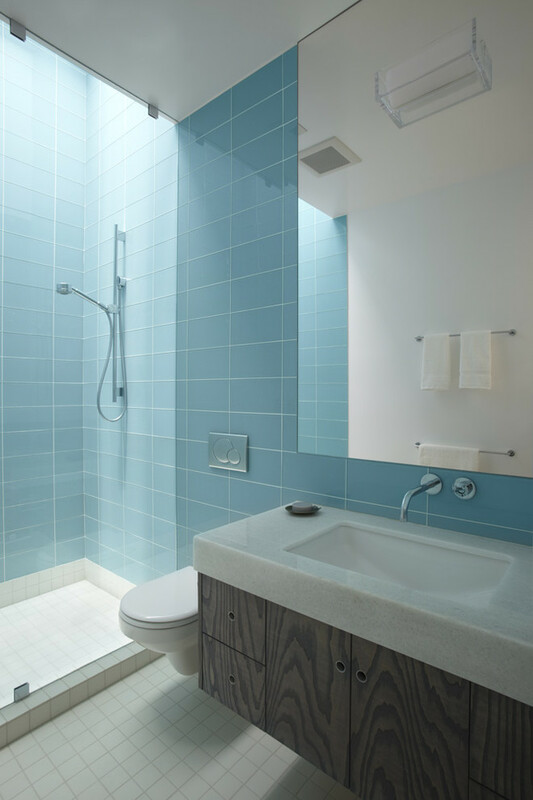 Blue glass tiles have been featured with pure white pebble tiles. Concrete finishing always offers a dramatic and elegant look. Like this picture, both floors and walls are coated with handwork concrete tiles. 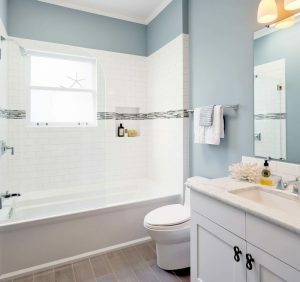 The color looks so stunning after several white bathroom properties are added. Both tiles have soft color tones but they don’t like similar tiles (particularly on texture and materials). When these soft tiles are combined, they are able to create a new and comfortable bathroom. 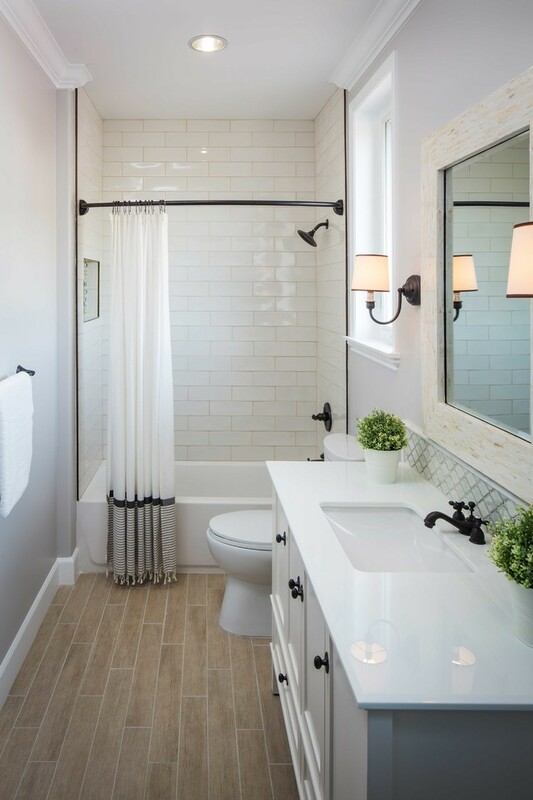 Subway tiles always become the nice choice when remodeling or reconstructing a bathroom. 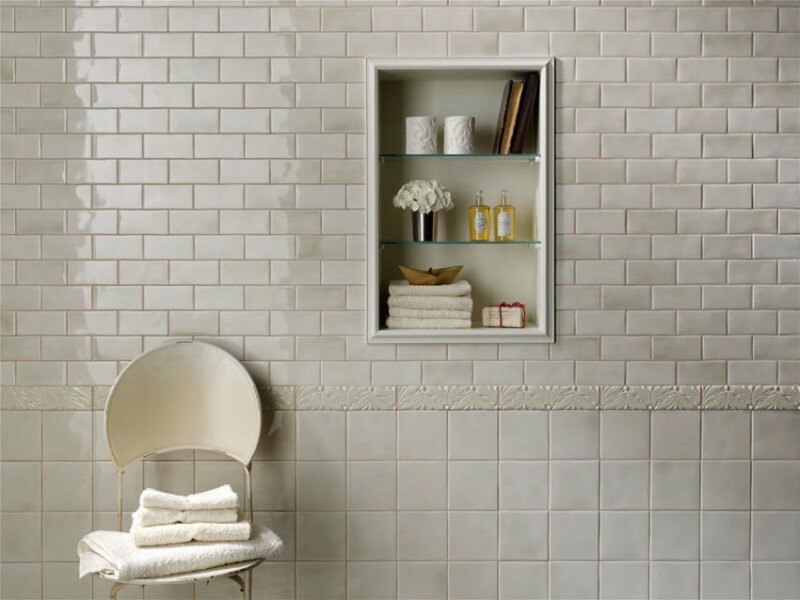 Many people say that subway tiles are endless, providing durable and stylish look for any interior parts. This picture, for instance, the homeowner adds thin blue lines in some spots of subway tiles installations. The aim is to give attractive accent for the bathroom. Gloss tiles are recommended only for dry areas of bathroom and kitchen. This kind of tile is slippery when it is applied on wet areas like shower space. It’s challenging to install a contrast floors and walls in a walk in shower. You can use two or even three different tiles in your shower space. 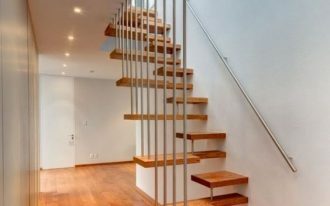 And the result probably will be a stylish and unique walk in shower like the picture above.